Why? Because for many of us, selling a home is about more than getting top dollar—it's about a smooth transaction and moving onto the next phase of your life. Here are some specific instances when accepting the first offer makes the most sense. The sweet spot for home sales is the spring. As the months tick by and the weather cools, the real estate market tends to do the same. When properties sit on the market, whatever the reason, buyers will assume there's something wrong. So when an offer rolls in—assuming the number’s not an extreme lowball—it means you may have finally found the best possible buyer, says Carolann Newton, a broker at Jackson Stanley in Easley, SC. You don’t want the property to continue to lose value by being on the market longer than it should be. Even if a buyer comes at you with an all-cash offer that's lower than you'd hoped for, you may want to accept it. “Cash buyers are a safe bet since they don’t have to wait on the loan processing to be approved,” says Wallace-Laabs. And cash buyers usually don’t come with any contingencies, like having to sell their current home before they can buy yours. Just be sure to vet buyers to ensure they have the cash on hand. Starting a new chapter in your life? You may want to accept the first offer it you're experiencing a major life event like relocating for work or going through a divorce. Closing the book on your home sale will ease what can be a difficult transition. Dora Hererra accepted the first offer she received on her house in Los Angeles two days after listing because the buyers had a complete package together when they made the offer. Not only did they have solid financials and a pre-approval letter from the bank, they also included a letter explaining why the house would be ideal for their family. “We received a higher offer that same day but went with the well-prepared offer instead,” says Hererra. Perhaps you've inherited a home from a deceased loved one and you plan on selling it. It's likely that your main concerns will be getting a fair price and unloading the house as soon as possible so you can move on. The first attractive offer that comes your way may be the one worth accepting. “We recently helped a client who inherited a house,” says B. Cornelius Charles, co-owner of Dream Home Property Solutions in Ventura County, CA. "Her only care was that she wanted to break even after paying off the remaining mortgage." Most sellers are also involved in their own home search, and there's a chance they'll find a house before a buyer comes around for theirs. If you find yourself in that situation, you can either pay two mortgages (not ideal) or make a contingent offer on your new home that's dependent on your finding a buyer. 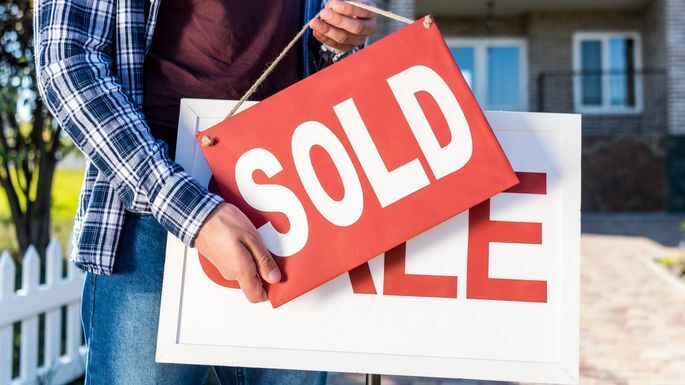 “If the seller has a contingent offer on another property they’re purchasing, then time is of the essence,” says Justin Potier, a broker at Carrington Real Estate Services in Long Beach, CA.